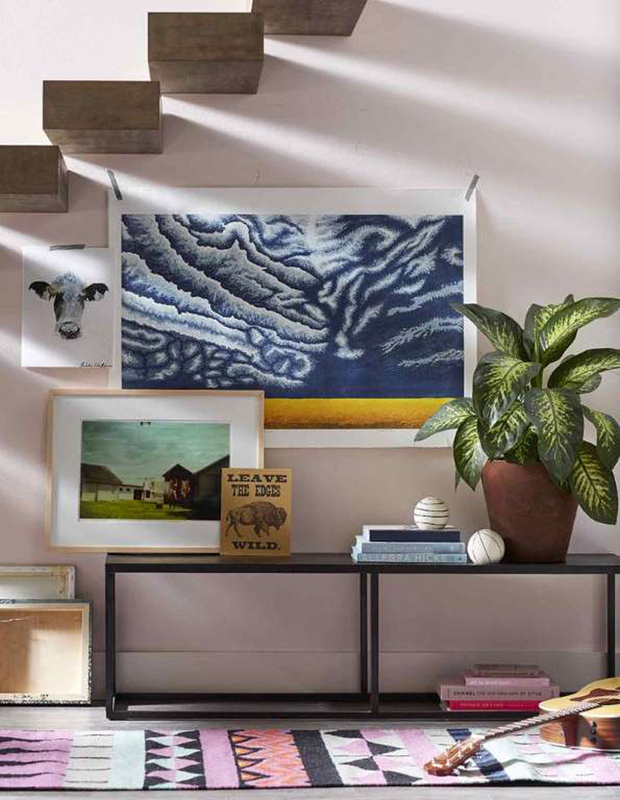 There’s no shortage of perfectly styled home decor images available online. With a quick scroll through your Instagram feed, you’ll find meticulously made beds, #shelfie-ready bookcases, and living rooms that could easily be mistaken for a magazine spread. If social media’s obsession with perfection leaves you feeling exhausted instead of inspired, you’re not alone. As interest in authenticity has grown, so has the number of searches on Pinterest for wabi-sabi. In fact, this term has seen a 98 percent year-over-year increase in searches from 2017 to 2018. Could this ancient Japanese philosophy be the antidote to the pressure we put on ourselves when decorating our homes? Wabi-sabi has its roots in Buddhism, when tea was ceremoniously served in handmade bowls that were prized in spite of any imperfections or irregularities. If they cracked, they were often repaired with gold or silver resin to celebrate their age and utility rather than to conceal their flaws. This concept of embracing authenticity instead of striving for perfection is still practiced in Japan today, but you won’t find the word wabi-sabi in the Japanese dictionary. As Julie Pointer Adams explains in her book Wabi-Sabi Welcome, the philosophy is a combination of two different words. 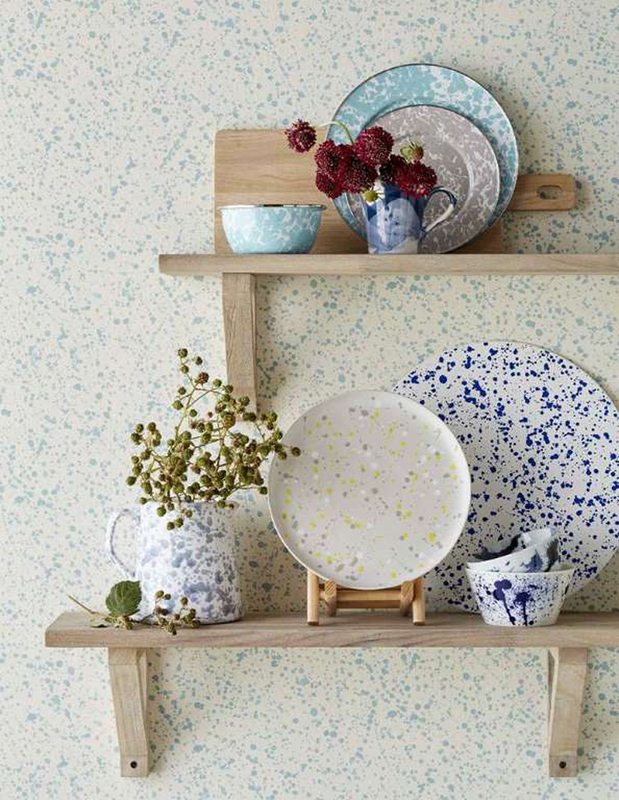 As a philosophy, wabi-sabi can be applied to every aspect of your life, including your home. In its simplest terms, approaching home decor through a wabi-sabi lens means seeing the beauty in imperfection. It’s using linen sheets that are always wrinkled and setting the table with mismatched dishes for dinner with friends. It’s appreciating the hand-me-down sofa in your living room rather spending money on a new set of furniture that you can’t really afford. It’s easy to put into practice. Wabi-sabi doesn’t require an investment of your time or money. With a focus on simplicity, the Japanese concept takes a less-is-more approach in decorating, placing value on the essential rather than the extravagant. Anything you bring into your home should be thoughtfully purchased and designed to last; the goal is simplicity, not necessarily minimalism. Wabi-sabi favors artisanal furnishings and accessories over mass-produced items because no two pieces will ever be alike. “Nor should they, because nothing is ever 100 percent perfect,” explains interior designer Ana Cummings. That’s not to say there isn’t quality control of handmade products, but any natural imperfections, however slight, only enhance the beauty of items like pottery, dyed textiles, and wood tables. Before heading to your local big-box store to buy something new, see if you can repurpose items that you already own, suggests Mike Harrison, an interior designer and HomeGoods style expert. For example, a chipped mug that has too much significance to throw away can enjoy a second life as a pencil holder on your desk. And don’t underestimate the transformative power of a fresh coat of paint. With a brush in one hand and a can of paint in the other, you can easily update how a piece of furniture looks—and the satisfaction you’ll feel after you DIY will make the item even more meaningful. A major tenet of wabi-sabi is appreciating natural imperfections, and what better teacher than Mother Nature? 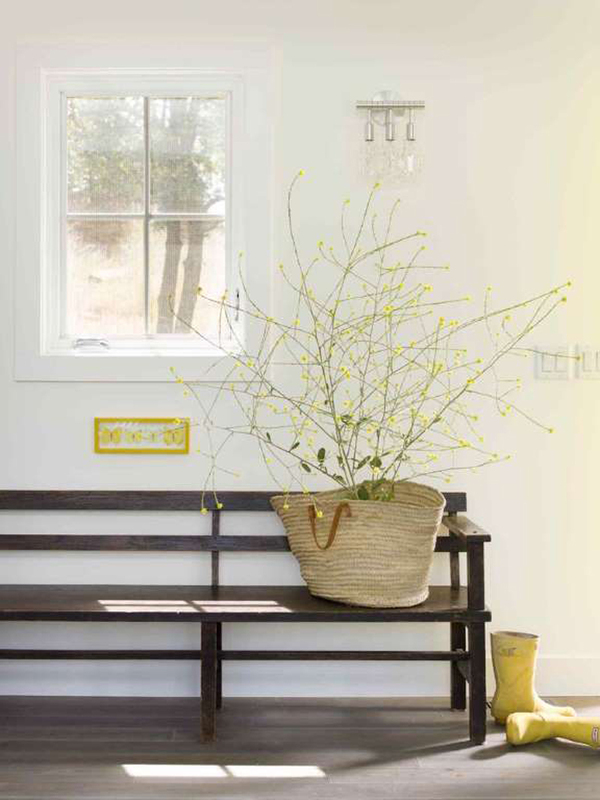 According to Harrison, a big component of wabi-sabi is connecting with the earth by decorating with organic materials like wood and stone. 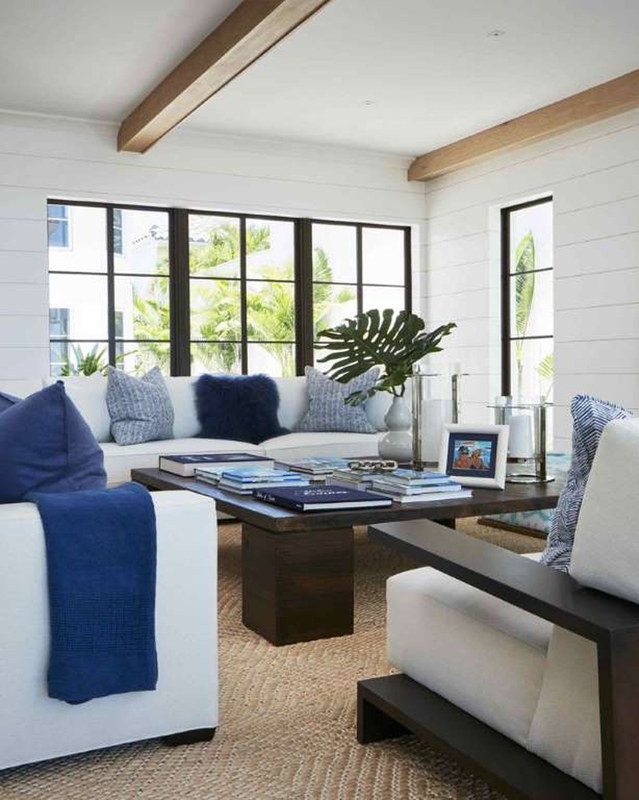 If natural accents like wooden stools or coffee tables feel too traditional for you, Harrison suggests pairing wood with metal or dark slate-like materials for a more modern look. Incorporating fresh flowers, plants, and gemstones are other easy ways to bring the outside indoors. The colors that surround us are among the many reasons why sitting on the beach or hiking through the woods is so peaceful. “Wabi-sabi extols earthy colors like greens, blues, taupes, and grays because they connect us to the natural world and bring a sense of serenity and ease,” explains Karin Sun, founder of Crane & Canopy. Incorporating these shades into your home decor, especially in your bedroom, can reflect the feelings of intimacy and calmness that nature brings. Perhaps the most important aspect of wabi-sabi decor is that you don’t have to subscribe to any trends. Your home should be filled with items that speak to you on a personal level, no matter how imperfect or quirky they might be. “We don't live in a two-page catalog spread, so adding these unexpected pieces creates interest and brings out everyone's inner designer,” says Harrison. Let the world around you feel superficial; your home should be authentically you.